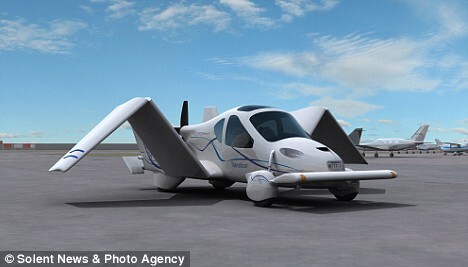 It`s been a pipe dream for 30 years but now the world`s first fully available flying car is set to hit the roads in 2009. Ever since the Back to the Future movies lit up our screens in the 80s, designers have dreamt of an automobile that could take to the skies at the push of a button. 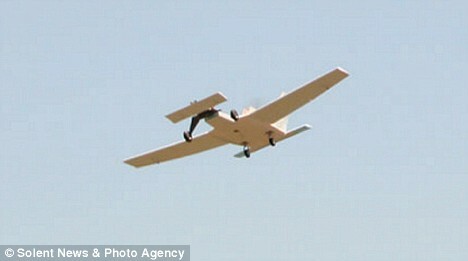 The `light-sport airplane` promises to bring more `flexibility and convenience to your flying`. The plane, which has fold-out wings that span 27.5ft when extended, has an airborne range of 460 miles and can cruise at 115mph. Back on terra firma, it is capable of travelling at `highway speeds` in car mode. 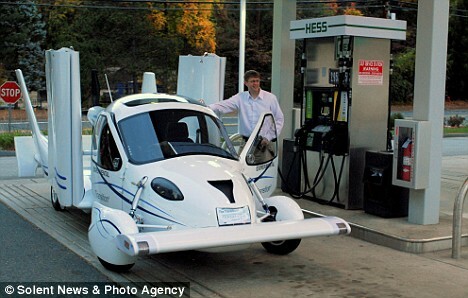 Fuelling the 19ft long plane couldn`t be simpler - you just drive it into a petrol station and fill it up with unleaded. 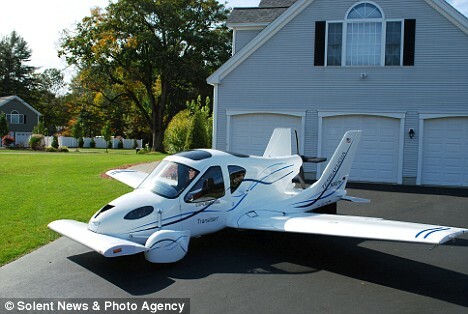 A spokeswoman for designers Terrafugia, based in Woburn, Massachusetts, USA, said: You can keep your Transition in your garage. Then you simply drive to your local airport, fly up to 460 miles, land, convert and drive directly to your destination. A series of simple commands made from the cockpit convert the white craft from plane to car and vice versa. But the wings only fold out if the correct key code is entered by someone with a pilot`s licence. Unlike many `flying car` concepts which use thrusters to take off vertically, the Transition needs a short runway to take to the air. The spokeswoman added: Never let questionable weather cancel or endanger your trip again. You can secure your very own Transition aeroplane by simply paying a deposit of £6,500.